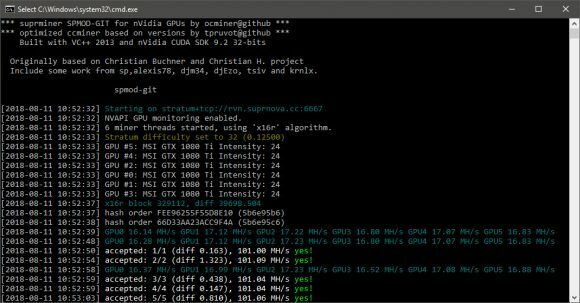 Yet another update from sp on his open source and free fork of supminer (ccminer) called Raven x16r/x16s Spmod-git #7 (source) with a bit more extra performance thanks to optimizations done to hamsi/Echo/echo-simd. The X16S support should be fixed in this release as well as it was broken in the previous, but our quick tests in a few pools show that no shares are being accepted – low difficulty or invalid shares getting reported by the pools, so it may need some more work. X16S support is now really fixed, make sure you download the miner again if you have downloaded the initial binary that was released for the fix applied. The ultimate goal of this miner is apparently to take the top spot in terms of X16x performance from the current leader z-enemy 1.15a and this release is a step closer to that goal. 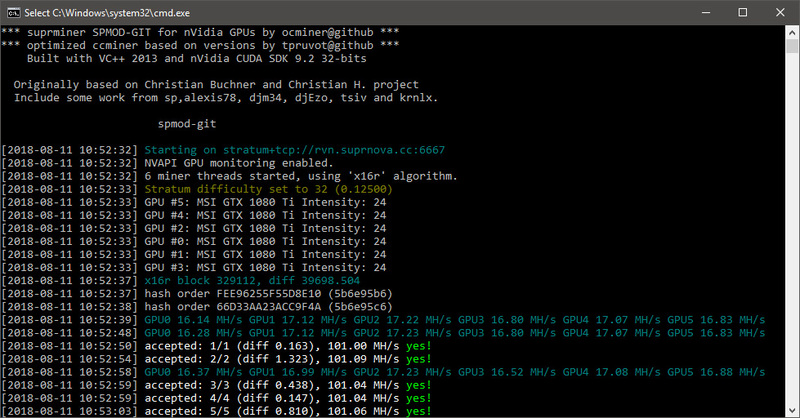 Our tests on GTX 1080 Ti show that Raven x16r/x16s Spmod-git #7 is still a tiny bit behind in terms of pure performance, however you should not forget that the z-enemy miner contains a 1% developer fee built-in and that already makes things pretty much even on actual performance. It is always good to have some competition as it drives things forward.